The TFI Ranger from Ontario Knives features a stout 1/4" thick 5160 steel blade, black powder coated for stealth and corrosion resistance. 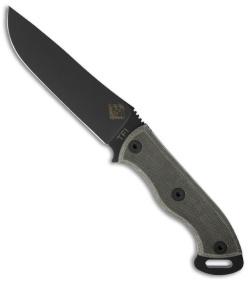 The handle is outfitted with black Micarta scales that provide a sure grip. Full-tang design with extended pommel and lanyard slot. 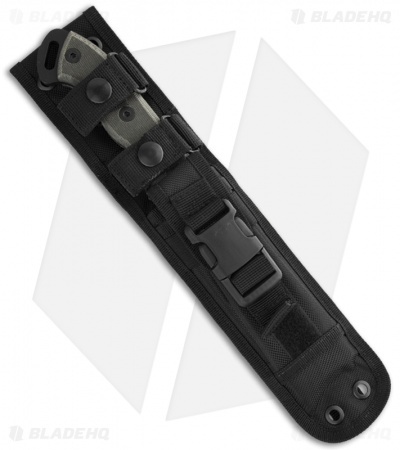 The Ranger TFI comes with a MOLLE compatible heavy duty nylon sheath.